A self-described “live-performance junkie,” the composer David Lang tested a few different ways of creating an opera that could only be experienced in person. He attempted to restrict the audience to 10, which didn’t work, then banned all audio and video recording, which mostly worked. 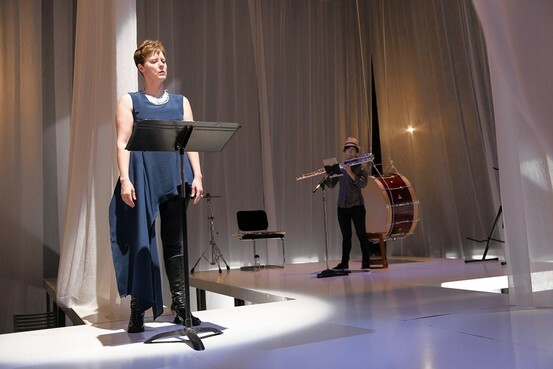 But it was another idea, a text whispered so quietly that each audience member hears different, fleeting snippets, that characterizes “the whisper opera,” a work opening Saturday as part of the Mostly Mozart Festival. The International Contemporary Ensemble, including the soprano Tony Arnold, performs the one-woman, four-instrumentalist show in its New York premiere. The four-day run is capped at 48 audience members per performance, which will be held at Lincoln Center’s Clark Studio Theater. He curated the responses, getting rid of ones that were overtly negative or sexual. The result was a series of phrases that contain the deeply personal things that people share online but would never say out loud. “People are willing to reveal things about themselves that are so agonized and so vulnerable,” Mr. Lang said. Mr. Lang, a co-founder of Bang on a Can and a 2008 Pulitzer winner for “the little match girl passion,” constructed a series of rules for the performance. Audience members must all be sitting right against the stage. In the score, he wrote that audio, video, amplification and a concert version of the work are strictly prohibited.